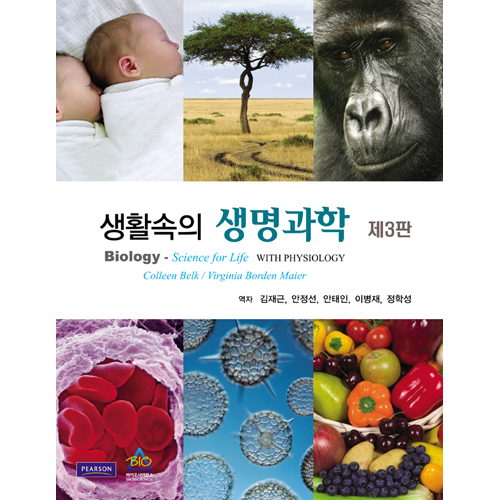 Human Biology is a new textbook for non-science students and, in some cases, students preparing for anatomy and physiology courses. As in Belk and Borden’s highly successful “Biology: Science for Life,” science is presented as a story that is integrated into the narrative to motivate students to read further and make real-life connections to the concepts they are learning. Critical thinking is emphasized through figure captions that encourage students to think further,“Stop and Stretch” vignettes that ask them to reflect on earlier concepts, and end-of-chapter problems that pose questions that integrate and synthesize the chapter material. The unique presentation of molecular genetics early in the book (Chapter 4) allows the authors to connect genetics to homeostasis through recurring boxes in later chapters called "Genes and Homeostasis." Clear and friendly writing continues as a hallmark of these authors. 2. The Chemistry of Life: Drink to Your Health? 9. The Cardiovascular System: Can We Stop the Number-One Killer? 12. Immune System, Bacteria, Viruses, and Other Pathogens: Will Mad-Cow Disease Become an Epidemic? 15. The Senses: Is Danger Near? 18. Human Reproduction: Is There Something in the Water? 19. Mendelian and Quantitative Genetics: Are You Only as Smart as Your Genes? 22. Evolution: Where Did We Come From? 23. Ecosystems and Biomes: Where Do You Live? 24. Population, Community, and Ecosystem Ecology: Is Earth Experiencing a Biodiversity Crisis?